Stockholm arbitration to rule on BP-Rosneft swap | Russian Legal Information Agency (RAPSI). MOSCOW, May 6 - RAPSI. The Stockholm arbitration tribunal is expected to close hearings on the lawsuit filed by AAR Consortium, ВР’s Russian partner in TNK-ВР joint venture. AAR filed a lawsuit to invalidate the share exchange deal between BP and Russian oil company Rosneft. The arbitration panel opened hearings on Thursday. According to a source familiar with the situation, the arbitrators are unlikely to pass a decision on Friday as it usually takes several days to consider a case. Currently the arbitrators are to determine if the share exchange is a financial or strategic deal for ВР. The court’s final decision on whether to permit or prohibit the swap depends on the conclusion regarding the nature of the deal. The parties may call witnesses or ask to see documents. 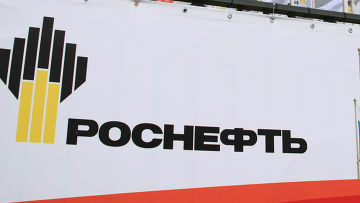 Earlier, ВР and Russian oil giant Rosneft agreed to extend the share exchange deadline until May 16, 2011. The initial deadline was April 14. The agreement followed the commercial court’s permission to consider this possibility on April 8. The Stockholm arbitration tribunal also extended the ban on share exchange sine die and decided to hold the second set of proceedings on the case. BP and Rosneft signed a share exchange agreement on January 14. Rosneft is set to obtain 5% of BP’s ordinary shares in exchange for 9.5% of its shares. Moreover, the companies agreed to cooperate in oil exploration and production on the Russian shelf in the Arctic Region. The total amount of the share exchange agreement is $16 billion, while the estimated investments in the first stage of the shelf project amount to $1.4-2 billions. However, AAR claimed that the share exchange agreement is in conflict with the shareholders’ agreement between ВР and AAR. The court satisfied the lawsuit filed by AAR and imposed a temporary ban on the share exchange deal. 13:35 06/05/2011 The Stockholm arbitration tribunal is expected to close hearings on the lawsuit filed by AAR Consortium, ВР’s Russian partner in TNK-ВР joint venture. AAR filed a lawsuit to invalidate the share exchange deal between BP and Russian oil company Rosneft.